All age groups children, teenagers and adults attended the Fair, together with their family and friends. There was help and advice for all for a better future! It provided a great opportunity to have their questions answered and to boost learning. Career advisors included Teachers, Doctors, Dentists, Police, Army, Accountancy, Pharmacy, Psychology, Lawyers and also apprenticeship based careers such as Electricians, Plumbers. CV advisory service and a business one to one advice service were also present. The aim of the event was to inspire all age groups, for hard work and to focus on opportunities available out there. 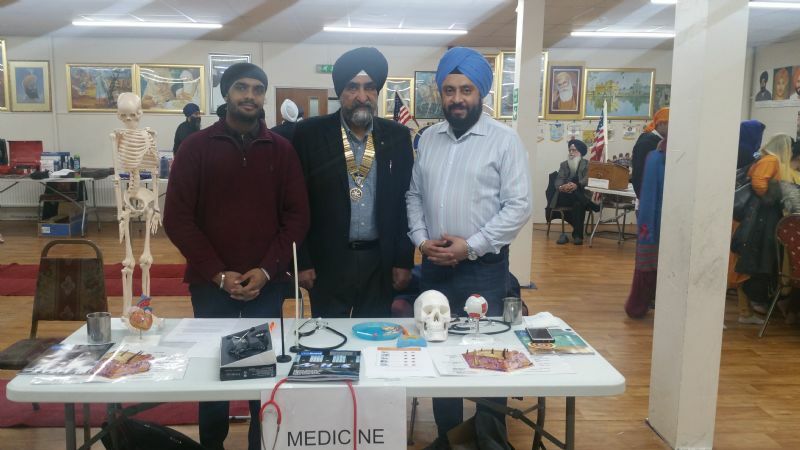 Rotary club of Manchester North District 1285 President Charanjit Singh Heera PHF, organised the food and welcome all. He conveyed his heartiest thanks for all the help given from President Tom Dickers of Knutsford Rotary club, Dr Vindy Ghura, and members of Rotary Club of Manchester North PP A S Egan, PP Kashif, PP Julian Roscoe PHF.